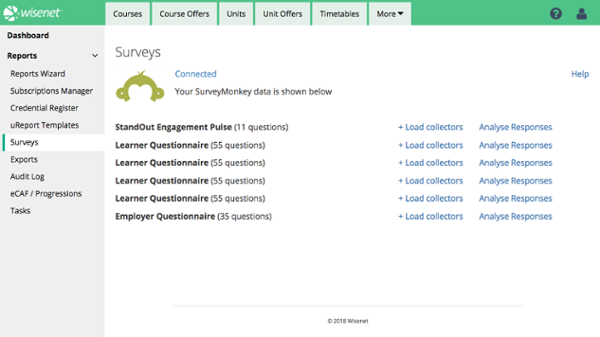 SurveyMonkey is the world's most popular survey tool that can be used to gain feedback for a range of different purposes. 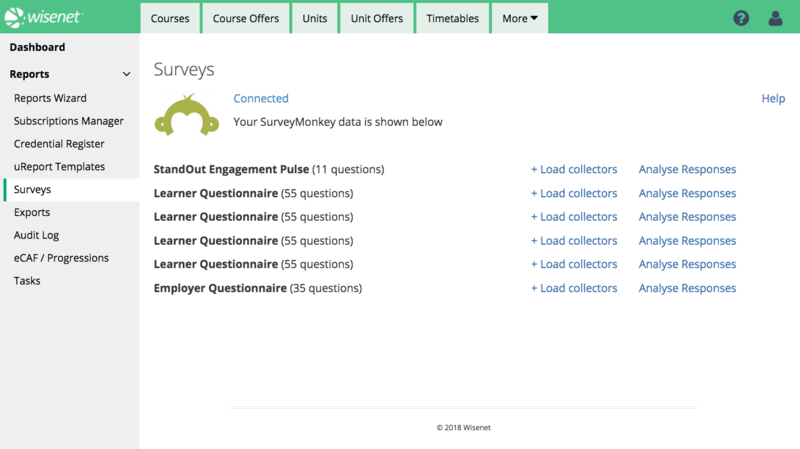 Adding SurveyMonkey to your Wisenet account includes AQTF Learner and Employer survey templates. Store survey results against learner records inside Wisenet LRM.